Built 1876 by A. Bedborough as part of the amusement complex "Royal Aquarium". 1898 rebuilding by Walter Emden. 1901 interior rebuilding by Frank Verity. Demolished 1906. 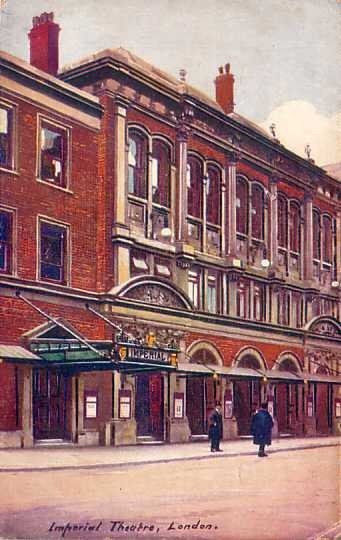 Front Text: "Imperial Theatre, London"